Awesome Autumn in the Hills. The Cobb’s Hill Team has been busy with harvest. 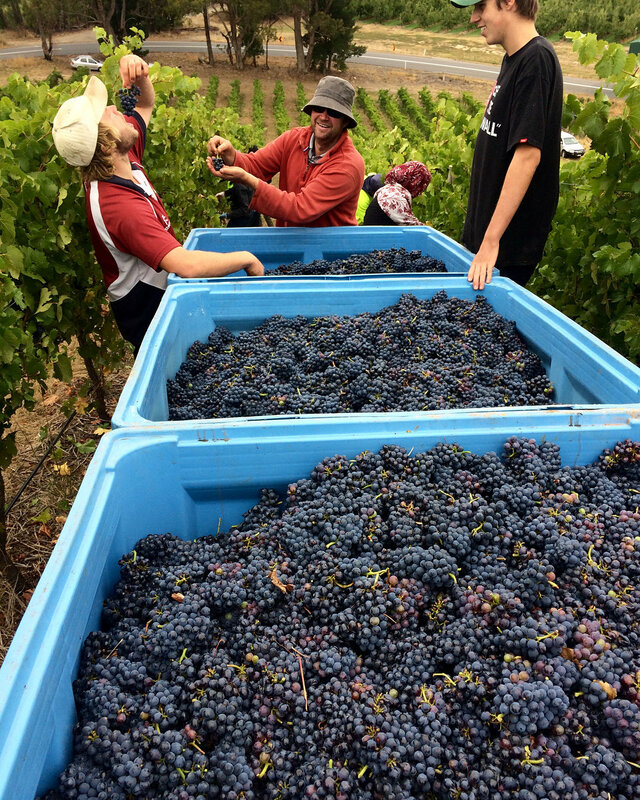 In February we picked our Pinot Noir and Chardonnay for next year release Southern Cross Sparkling. Later in the month we picked our Pinot Noir and Pinot Gris for table wines. Quality is good. In March the majority of our grapes will be harvested and crushed before Easter. 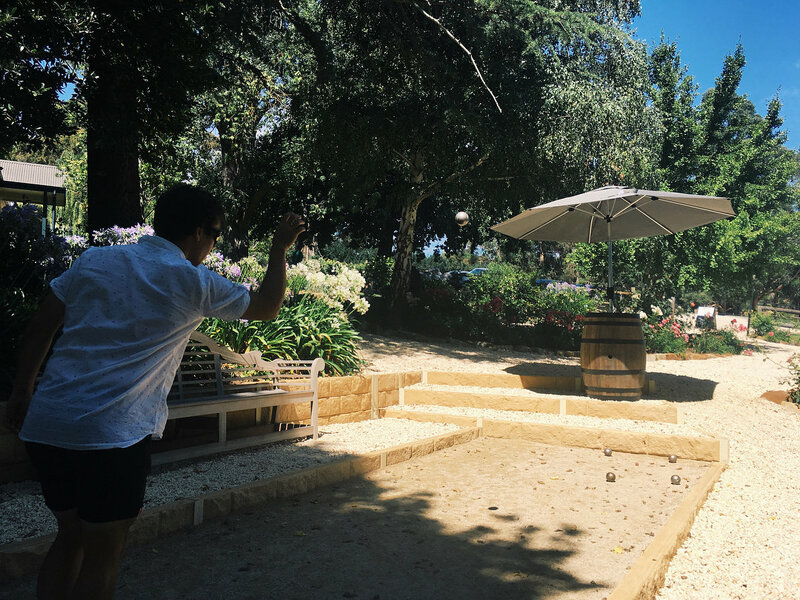 We are open Good Friday, Easter Saturday, Sunday and Monday and hope you can join us for Games in the Gardens, Try your hand at partners Petanque. Stay overnight in our Bed & Breakfast and make a weekend of it in the Heart of the Hills! Congratulation to Shaun as our February winner of our new mailing list draw. 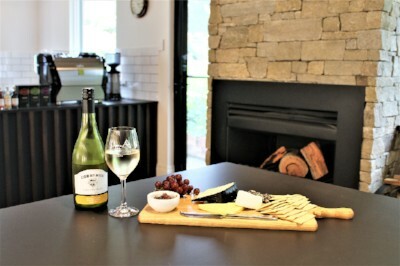 Enjoy our complimentary two glasses of wine and a platter at our Cellar Door. To be in the monthly draw for March, simply sign up via ‘Contacts’ on our website or drop your details at the Cellar Door when visiting. Thank you to all who visited us during February and remember the Hills puts on an awesome autumn colour show with a rich variation of trees and vines leaves changing with the season. 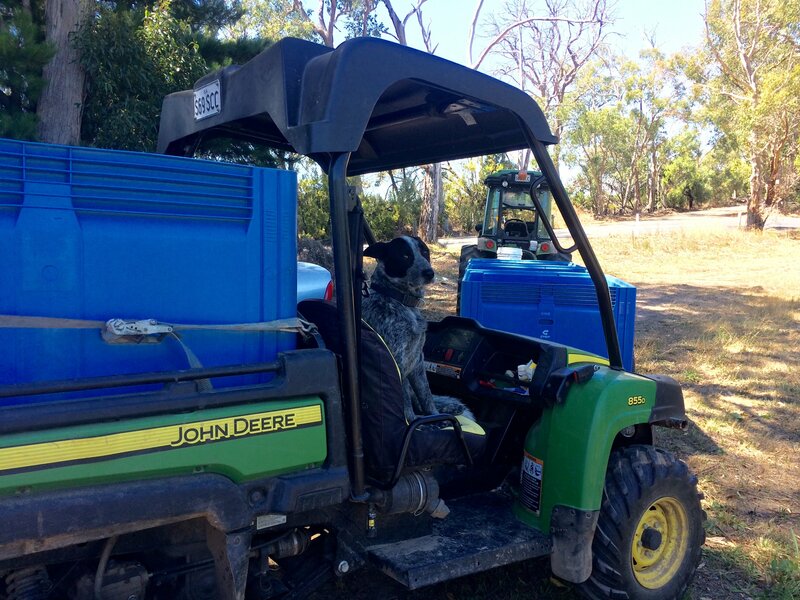 Top dog, Gator driver and grapes quality control.